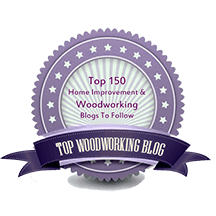 When I was shopping for a new bandsaw last year I was not able to find much written by Minimax E16 users so I am posting this to help woodworkers looking to buy a new bandsaw. I’ve been happy with the E16. It is a very important tool in my shop and I’d buy it again. This is my view of the machine, unprompted by the company in which I have no stake. 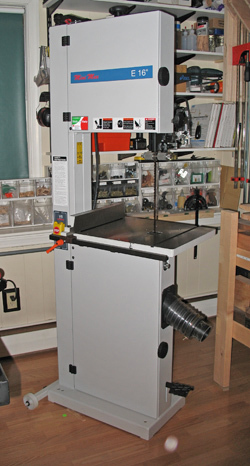 The MM16, which has a 4.8 HP motor and resaw capacity of 16″, is probably the better choice for many woodworkers, but I bought the E16 based on its price and size that fit my needs. The E16, with a 2.4 HP motor and resaw capacity of 12″, is about 200 pounds lighter and has a smaller table, making it more maneuverable in my small shop, a critical consideration for me. The performance of the saw has been excellent. The E16 has ample power to handle everything I’ve thrown at it, showing the moxie, for example, to accurately and smoothly resaw 10 inch wide walnut and some very dense 8 inch pear using a Timberwolf VPC 3/4′ x 0.25″ x 2-3 tpi blade. The blade runs true without barreling. 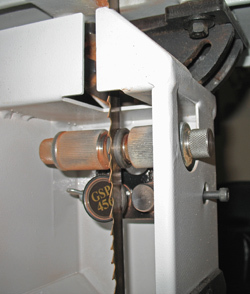 A carbide tipped blade also can be used on this saw. Set up involved a lot of clean up, though that did give me a chance to learn about the saw. 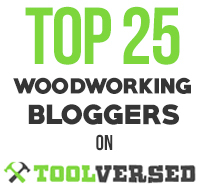 I think this is typical of most major woodworking machinery. You will need to obtain and wire your own power cord. The mobility mechanism, using the lever bar, is easy to use, plants the machine steady on the floor, and saves the hassle of buying and fitting a separate mobile base. The doors do not open separately as was described by the seller, but I really don’t mind. The manual is poor and, while I have long experience bandsawing, it could be a problem for someone new to it. Virtually everything on the saw can be adjusted as needed and I found most of the tuning to be straightforward and intuitive. The Minimax folks were knowledgeable, helpful, and responsive when questions arose. I like the simple, heavy cast iron rip fence which is easily adjustable for drift. The table tilt mechanism is solid but can be a bit balky when making large angle adjustments. The trunnions give the table good support. The table insert is easily leveled. Tracking the blade has been easy and so far I haven’t even had to change the factory setting for the lower wheel position on its axis. Blade changes are about as easy as I can imagine on a bandsaw. (It still would be nice if they magically changed themselves!) 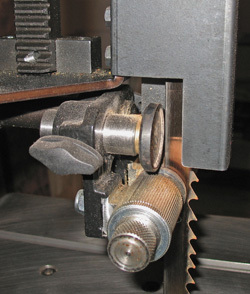 The spring and frame are easily strong enough to tension the resaw blade. The tension gauge, just a printed sticker, could use an upgrade, but at least it allows for approximate repeatability once you determine good tension for each of your blades. The electro-mechanical brake works fast and is a handy feature to keep work moving along in the shop. I used a file to round the rough corners of the foot pedal. Dust collection is excellent. The dust port is not a standard 4 inch fit – it’s just a bit too big. I rigged an adapter using a short length of plastic hose. The videos on the Minimax website are well done and helpful. Particularly instructive are Sam Blasco’s videos using the MM16 machine. Product support from Minimax has been excellent. In summary, based on my experience with this machine, if this is the general category of bandsaw that will meet your needs, I heartily recommend the Minimax E16. The best thing I can say is that when it’s time to use it in a project, I feel confident and at ease. That’s what you want from a good tool.